You are currently browsing the category archive for the ‘Good Citizenery’ category. His quotes… as per Delaware Newszap. Do you not know that Common Core is a Federal Program being forced on School boards and School districts the nation over? Do you not know that when Christina School District said they thought the Federal compensation program was foolish, they lost not only that funding, but out of spite, were cut other funding as well? If that is not Federal coercion, then you need a dictionary. Do you not know that every single one of Delaware’s superintendents signed a letter saying “stop racing to Common Core?” How do you now know more than every single school district in Delaware? Do you not know that of the 45 states that are mandated to do common core this year, only 10 out of 24 who signed up, are still taking the Smarter Balanced Assessments? Why? Because it is bad. Very bad for children. Do you not know that children today, are testing higher than you did, when you were in school? Why don’t you know this. Do you not read? Do you know there is no literature on the success of Common Core but there is over 10 thousand personal accounts over the damage it did to 10 thousand parent’s children? Do you not know that most highly qualified professional adults cannot pass the 3rd grade math test? Problem is they can’t understand what the test maker is trying to say, the English is so bad? Why don’t you know this? Do you live in a cardboard box somewhere on the edge of town? How can anyone say that 81% of teachers are for Common Core? Do you not read? Tell me you are ignorant that Delaware Teachers (DSEA) voted no confidence in the rollout of Common Core! Tell me you are ignorant that the NEA (National Teachers’ Association) voted no confidence in Arne Duncun and his Common Core! Tell me you are ignorant that the AFT, (American Federation of Teachers) also voted no confidence in Arne Duncun and his Common Core? How can you be ignorant of this? Do you not read? Yet you state 81% of teachers support Common Core? How can anyone be for a program that abuses children. New York educators ruled that Common Core was a form of child abuse… How can you not know this… Do you not read? I’m amazed that someone in 2014 can still support Common Core…especially with all the evidences showing its great harm that emerged in 2013-2014 school year. Do you also believe the world was created in 6 twenty four hour days? And that the start of the universe occurred somewhere around 4000 BC? And that the sun, moon, and stars all rotate around a flat earth? You must. Since you obviously don’t read….. But educational statistics are required for each school. We citizens are able to look at that and draw our own conclusion, completely independent of any interference by the current head of the DOE. 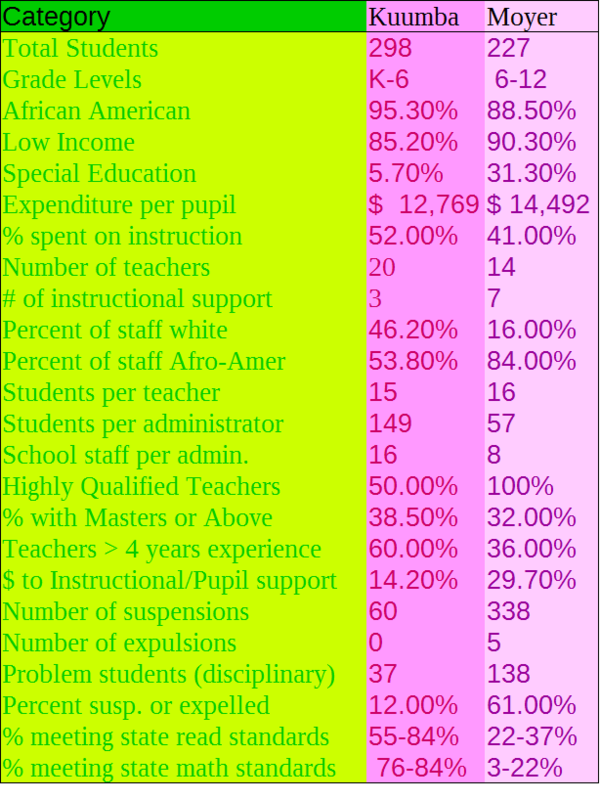 So I did a comparison between two charter schools well known to Delawarean educationalists. 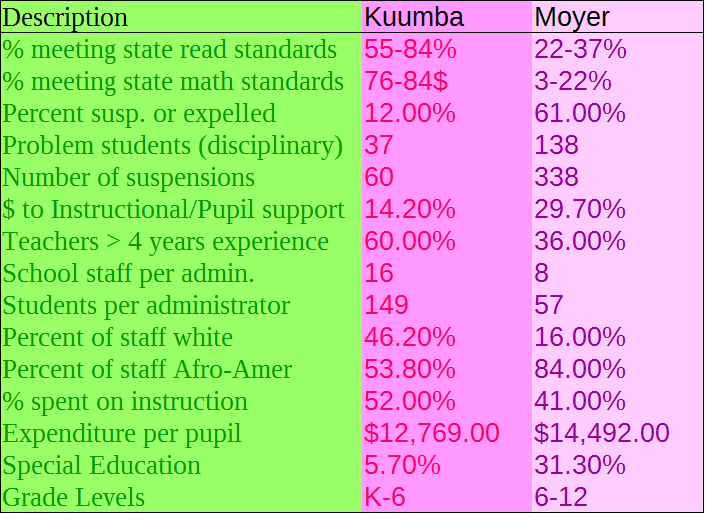 Kuumba and Moyer…. Barring significant variations in the selection of students, as in one taking only those out of prison, and the other taking only those by over achieving single mothers, the demographics are very similar. So what is different? Here are the wide variations…. 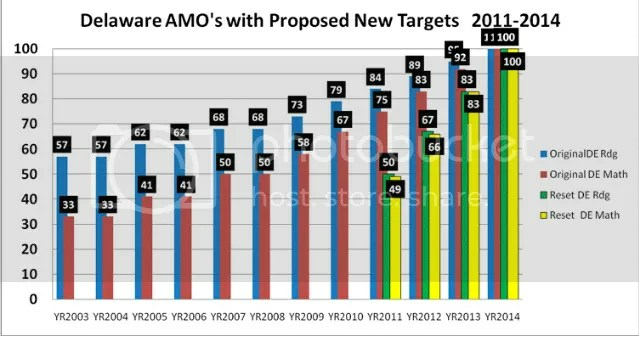 or 31-53% for reading and 4-31% for math we see it matches similar trends for other low level schools in Delaware. Even without its special education students there is still a great difference in output between these two schools…. One seems to be in the mission statements. From Kuumba: Learning does not stop once students leave the classroom or the school. Kuumba Academy has forged partnerships with local universities and other educational and community organizations – i.e. the Grand Opera House, Delaware History Museum, Christina Cultural Arts Center, Delaware College of Art and Design – to create an extended learning environment for its students. From Moyer: Moyer Academy continues to grow its academic and extracurricular programs. Another seems to be in the amount of control being given to teachers. Kuumba School staff per admin. 16; Moyer 8. It appears that micromanaging is counter productive. Moyer micromanages its results downward; Kuumba lets its teachers teach. That is the fundlemental difference between these two schools. It’s the difference between top down management, and bottom up support. The latter works and the former doesn’t. This comparison should be an eye opener to all those Broad educated reformers looking for work, as well as all those districts looking to hire principals. The reformers principles are counter productive. Lets’ do a list. Sometimes one goes through an “A Ha” moment. When something so obvious hits you like a ton of bricks. The catalyst this time came from Utah, home of the NSA information vault. The spark was the lawsuit in Utah’s court calling for a halt against the implementation of Common Core… Brilliant. The Governor himself, in response to the clamor of his people, (that will never happen here) has asked the Utah Attorney General to do thorough legal review of theof the rapidly adopted, unvetted education and testing standards known as Common Core…..
His main question (as expected out of Utah) was does Common Core demonstrate Federal entanglement…. For anyone who knows Common Core, that is a no-brainer. When someone says, we will withhold your life support unless you do what we say, that is coercion. Coercion is a form of entanglement. However… there is lawsuit filed by the Libertas Instutute that goes beyond that, and directly approaches the problem of common core. The Plaintiffs consist of parents, teachers, and school board members. Utah state law (§ 53A-1-402.6) requires the Board to establish and implement standards “in consultation with local school boards, school superintendents, teachers, employers, and parents.” This lawsuit focuses on one fundamental question: did the Board violate the law in rushing through Common Core’s adoption without required public input? This state law (151 (f)) IS being violated by the Federal mandate that all students, with no exceptions for disabilities, take the Smarter Balanced Assessments with no accommodations…. Delaware, at the expense of it’s children, IS following the Federal Mandate to the letter. No exceptions for disabilities… and one must add, no concern for the psychological well being of those children forced into a position to which they have only one alternative: to fail. Apparently, this is in violation of state statute. A second point of violation, is this phrase:… “Each local school district, through the individual student’s Individualized Education Program Team or 504 Team, shall determine what assessment the student will take…” That means at least with each child with a disability, the person with the last say, is the local school district, not the state or Federal programs. Anything otherwise, is a violation of state law. This state law (151 (j)) further states: “a student who has been formally classified as having 1 of the following 4 conditions, and whose parent, IEP team, and school district superintendent or charter school leader believe will not produce valid results on either the standard or alternate assessment despite accommodations and adjustments, shall receive his or her alternate assessment through consideration of work samples, projects and portfolios, which facilitate authentic and direct gauges of student performance with respect to both relevant state standards and the student’s IEP (a “portfolio assessment”). The insistence of the Smarter Balanced Assessment puts this law into jeopardy. “The Department with the approval of the State Board of Education and the school board of any local reorganized school district, either separately or jointly, may establish special programs for children who are in need of education not provided for in regular classes or schools.” The imperative point, is that precedent has always stated that new policies must meet with the approval of the State Board of Education and the school board of any local reorganized school district. No input was solicited from parents, teachers, or school boards on adhering to the new standards. I won’t go into proof that the standards are harmful. Anyone filing a lawsuit should just peruse the canon of literature attesting to how Common Core hurts kids… Proving justification of harm will be a non-issue. We are past due for a citizen’s lawsuit seeking an order enjoining the Governor and Secretary of Education from further implementing Common Core in Delaware’s public schools, from requiring Delaware’s public schools to further adopt or abide by Common Core, and from enforcing Common Core in Delaware’s public schools…. The lawsuit should for a declaratory judgment, saying that the Governor failed to consult with local school boards, superintendents, teachers, employers and parents as required by law (Title 14, Chapter 1, Subchapter 3, § 151 State assessment system; rules and regulations.). It asks for an order enjoining the Board from further implementing Common Core, from requiring schools to implement Common Core, and from enforcing Common Core…. The above shows how Governor Markell rewrote Delaware’s educational goals. As you can plainly see, both the old and new had 100% of Delaware’s students succeeding by this year, 2014…. It was this goal that got us the Race To The Top Funding. It was this goal that was in place since NCLB beginning in 2002. Here is the actual result, now, as of 2014…. The most relevant for comparative purposes is the right column of all the grades combined…. Across this time we had a federal infusion of over $119 million dollars. So finances aren’t the problem. 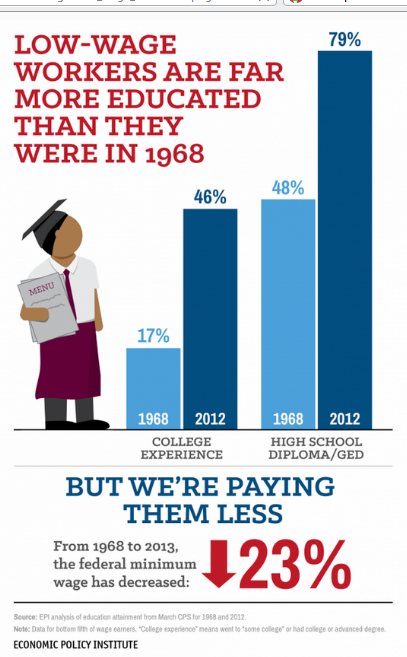 Across this time, we had higher quality teachers. So teaching is not the problem. Across this time, we had education reform. The “educational governor” got tripped up on Common Core. It is like he suited up for the big game day of his Superbowl, wearing his Gucci dress shoes… not his regular cleats. Though he tries to run using all his old moves, his feet just fly while he stays stationary in one spot. Most of us would expect that from his hiring of a 29 year old to run the Department of Education, someone whose educational specialty in college was studying gym. But even that might have worked, if we hadn’t been so gung-ho on Common Core. When there was NO COMMON CORE “2011-2012” we had amazing results. Then Common Core began to deflate our test scores. Common Core cost 30% of Delaware’s children to NOT REACH THEIR GOAL, and thus, is the primary cause of Delaware’s educational system not reaching its goal of 100%. One needs no more evidence than tracking the results of our pilot programs, and all should now insist that Delaware too (along with multiple states) abandon the Common Core Curriculum and fall back on what worked so well in 2012…. In Maryland, among experts, the test was rolled out to explain how in its complexity, it would test whether a child was taught well, or not taught well at all. The test question culled from the fourth grade test, was this…..
How long did it take you? Is this appropriate for 4th Graders? 4th graders? little 9 year olds? When we were in 4th grade, we were just being taught multiplication. Single digits, 1-10…. Here is what needs to be known before tackling this problem…. Did you know this in 4th Grade? Should you know all of this in 4th Grade? Most educators say ABSOLUTELY NOT!!!!!!!! 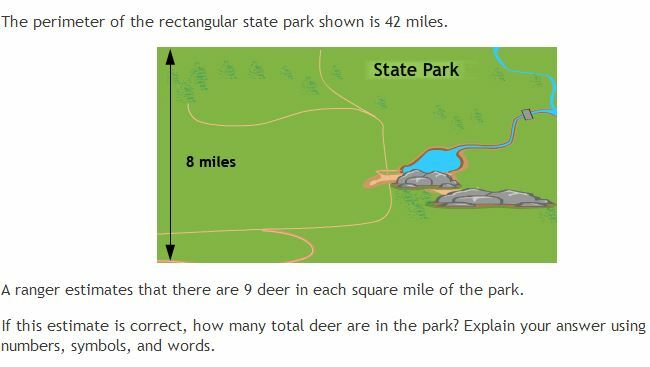 Imagine if you as a teacher knew this problem was on the test and knew that if sufficient numbers of your students got it wrong, you would be without any way to pay your bills? Week one… You would make sure everyone knew what Area was..
Week two… You would make sure everyone knew what a Perimeter was…. Week four…. You would work on how to figure out the area of a rectangle. Week five…. You would work on how to figure out the perimeter of a rectangle. Week six…. You would work on how to figure what a missing piece of perimeter would be if you knew one side and the total. Week eight,.. You would work on how to multiply single digits. Week nine… You would work on how to multiply double digit numbers. Week ten…. You would work on how to solve many problems like this….. Ten weeks… of nothing else. Just teaching this one problem. Gone would be time for everything else… You can see it is impossible to do… You can see that no matter how good ones teacher is, unless parents have already taught their children all these complex measure, and unless those children are tutored continuously over every minute of their free time, they will fail…. One has to get 936 as the answer… or one fails… This test is college level. It is similarly complex to a physic’s problem…. Why is it being given to 4th grade? Your child will be irreparably damaged if they take the Smarter Balanced Assessment tests… There needs to be more education among parents. This test is dangerous for your child’s mental health. No doubt, you.. well armed with 12 years of schooling, and perhaps post secondary education, were under great stress to fill out that answer? Weren’t you? What if you were 9 years old. Didn’t know multiplication. What a perimeter was. How area was determined. …… and all because your teacher spent 10 weeks preparing for another problem… that wasn’t on this test…..
Opt out. Opt out is your only option. Don’t worry if it is legal… Opt out. You, are in charge of your child… Opt out. Opt out. Opt out.